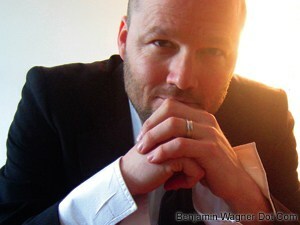 Preview & Download Entire New Benjamin Wagner Album Today! My brand-new, ten-track CD, “The Invention Of Everything Else,” is now available for preview at iLike.com and exclusive download at Authentic Records Online. For one week only (June 11-18), download the entire album plus two online-only bonus tracks at Authentic Records Online. We’ll ship your signed, limited-edition CD plus autographed poster and 1″ collector’s buttons on Wednesday, June 18th. The ten track collection (my first LP since 2005’s “Heartland”) is a full-band, mostly-acoustic release, featuring guitarist Chris Abad, bassist Tony Maceli and drummer Ryan Vaughn, plus The Nadas’ guitarist Ross VanderWerf, guest vocalists Jamie Leonhart, Stephanie Walsmith, Josh Davis, and Tony Bohnenkamp, and strings by Patrick Riley (cello) and Cecile Forsberg (violin). The album was recorded by Travis Harrison at Serious Business Studios in New York City, New York, and mixed by Jon Locker at Sonic Factory Studios in Des Moines, Iowa. Seriously? If you’ve made it this far? Do me a favor. Check out the record. Pick up a copy. Heck, get two. Then tell a friend. Please. ‘Cuz I know people think music should be free, and everyone’s tossing around MP3s like they’re nobody’s business. But they are somebody’s business: mine. And it’ll be much easier for me to make another record if this one does well enough to justify another record. Cool? Cool. And thanks. Ya’ know I love ya’.